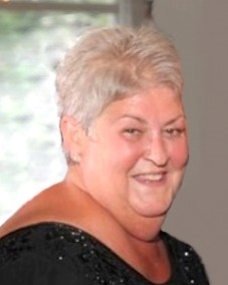 Donna (Scalera) Matseas, 70, of Salem, NH, passed peacefully on Monday, April 1, 2019 surrounded by her family, at St. Elizabeth’s Medical Center in Brighton, MA. She was the daughter of the late Carmen and Ruth (Gordon) Scalera. Born on December 20, 1948 in Lawrence, MA. She was educated in the Lawrence school system, where she met the love of her life, Robert “Bob” Matseas. In later years, Donna was employed as a customer service representative. She had many hobbies throughout her life. She enjoyed summers at the beach, and occasional trips to Foxwood Casino. However, her number one joy of all was her family. She proudly raised two children with her husband, Bob. But Donna’s richest legacy is her love of her grandchildren who brought so much light, love, and joy into her life. Donna leaves behind the love of her life, Robert Matseas of Salem, NH; two adoring daughters, Tracy Pitocchelli and her husband, Jeff of Marlboro, and Brenna Cieslik and her husband, Jason of Dracut; three grandchildren, Alexander Pitocchelli, Rocco and Raegan Cieslik; and her three siblings, Gerry West and her husband, Robert of Dover, NH, Nicole Regan and her husband, Brian of Salem, NH, and Albert Scalera and his companion, Debbie Morrison of Methuen. She also leaves behind several nieces, nephews, cousins, and extended family. Family and friends are respectfully invited to attend calling hours on Sunday, April 7, 2019 from 2:00-6:00 PM at Cataudella Funeral Home, 126 Pleasant Valley in Methuen.